How to Train Your Dragon 3 will mark the end of the road for the massively successful franchise, according to director Dean DeBlois. The first installment made its debut in 2010 and earned over $494 million worldwide, while gaining two Academy Award nominations in the process. The sequel proved to be even more successful, bringing in an additional $618 million to the franchise. 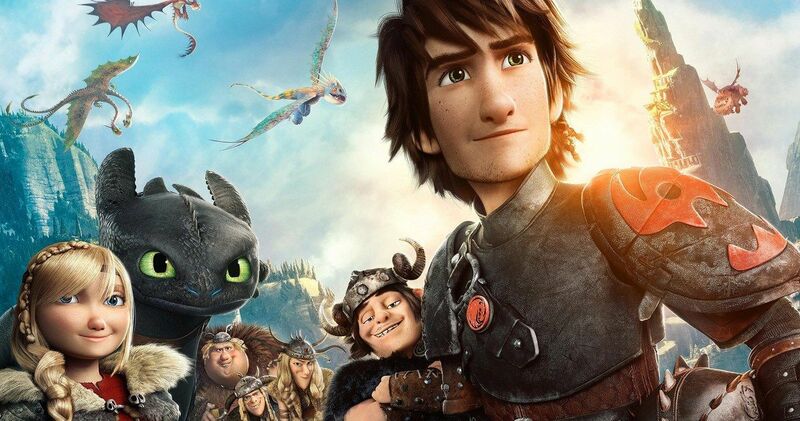 How to Train Your Dragon is based off of Cressida Cowell’s series of children’s books and fans are preparing for a bittersweet finale. Dean DeBlois and veteran animation producer Brad Lewis are preparing fans for emotions to run very high in How to Train Your Dragon 3. Lucky attendees at the Toronto Film Festival were able to see some brand-new clips from the upcoming film, along with some background information. The director stated that How to Train Your Dragon 3 will be the final film in the series and says that the conclusion will explain why. DeBlois explains. In the first new How to Train Your Dragon clip shown in Toronto, Hiccup (Jay Baruchel) thinks back to being a toddler when his father first tells him about the dragons and wanting to separate humans from them. Obviously, a lot changes over the course of the two previous films, but it sets a precedent for what will happen later in the movie. Finding the Hidden World “may be an answer to preserving the peace for people and dragons (who together face a new threat),” according to Dean DeBlois. The How to Train Your Dragon 3 clips also included the first real look at the Hidden World, which is described as “ethereal” and a “system of vast chambers and corridors that run beneath the ocean and continent.” In the scene, Toothless is in the Hidden World with his love interest, a Light Fury, when Hiccup and Astrid come to retrieve him. But, Toothless is the alpha dragon of the group now and is in a place where he “thrives and belongs,” which doesn’t sit well with Hiccup. Hiccup is going to have to learn to live and battle without his beloved Toothless in How to Train Your Dragon 3. Dean DeBlois says that the theme of the film is “letting go, or finding the wisdom to let go, rather,” making it seem like some pretty dark and sad things will go down in the final movie of the franchise. The third installment is looking to put an end to everything that the previous installments set up, while creating a new world. You can read the rest of the interview with Dean DeBlois over at Entertainment Weekly.